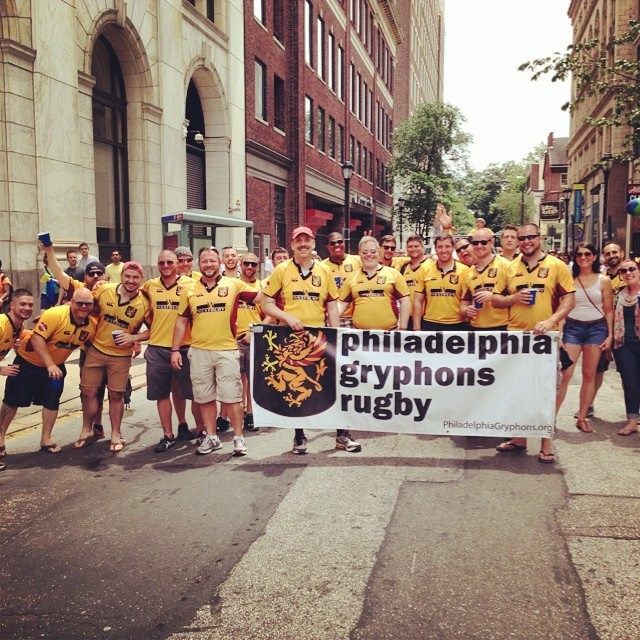 Many of you may remember my blog entry over a year ago where I shared with you the story of my rugby team, Philadelphia Gryphons, working on going to Australia, (Locust Walk Talk: What Penn’s Taught Me After Graduation). The anniversary party was only the beginning of this trek. We were able to reinvigorate our alumni and our current players to work together to create that important network of support to bolster the team and to implement new programs. 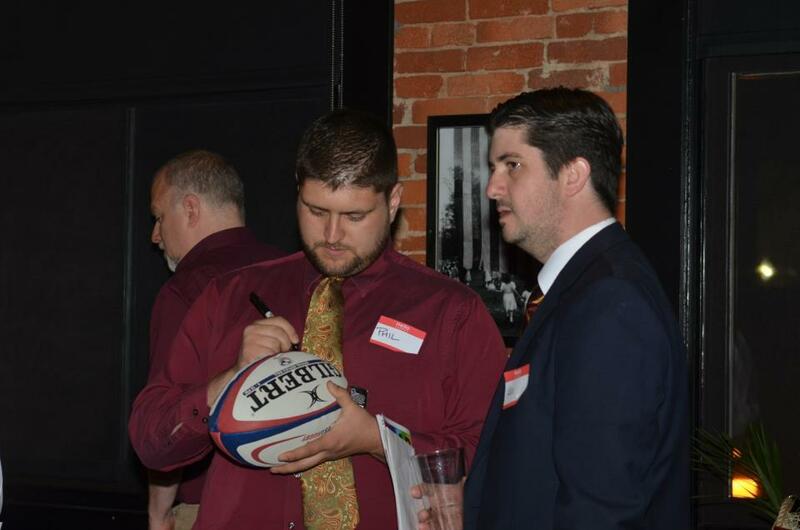 The club has implemented seasonal boot camps for new and interested players to learn some basic rugby skills in order to introduce them to a scrimmage with the veteran players at the end of the two hour camp. The board has institutionalized our first Saturday socials, which typically are social gatherings at our sponsor bars to increase the team’s visibility among the community and city; we supplement bar nights with outings to rugby tournaments, marching in Philadelphia’s Pride Parade, and hosting viewing parties for European matches to flesh out our calendar for the year. The fall season will be the Gryphons’ inaugural season for our new recruit/veteran mentorship program. We have initiated Alumni Days, for the first match of the season, to increase attendance at our games. Finally, the Gryphons are working to establish both a day to give back to urban youth and to regularize a Founder’s Day celebration to commemorate the team’s anniversary. 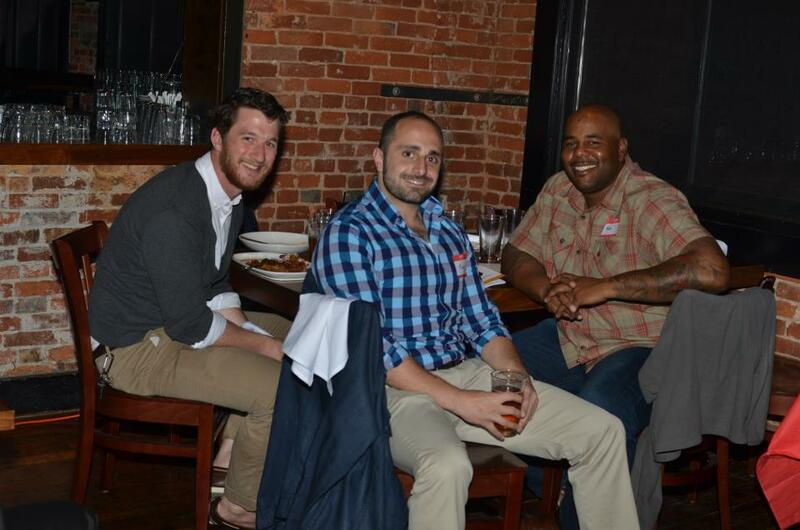 Gryphons at the Anniversary: Joe, GEd’14; Tony, Gr’13; and Marc. 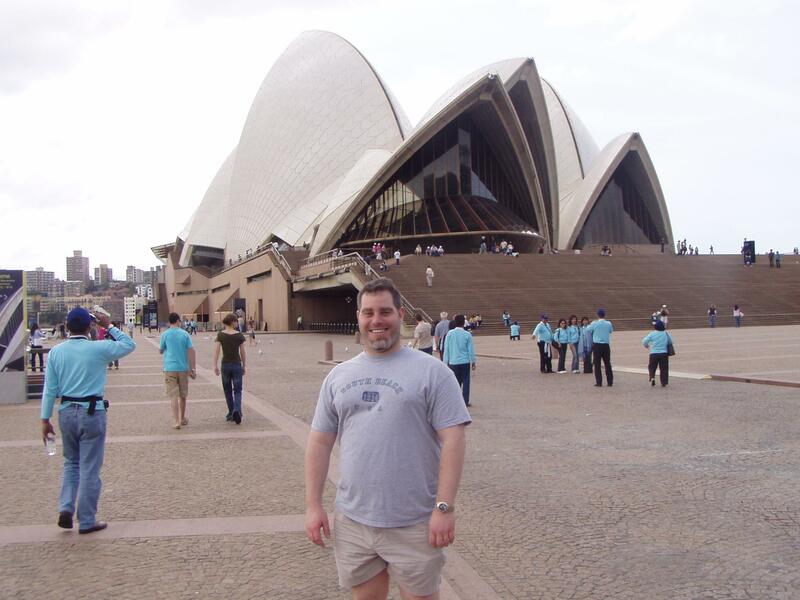 Due to this diligent work, we were successful in getting ourselves off to Sydney – raising over $15,000 to help defray some of the costs of the trip. 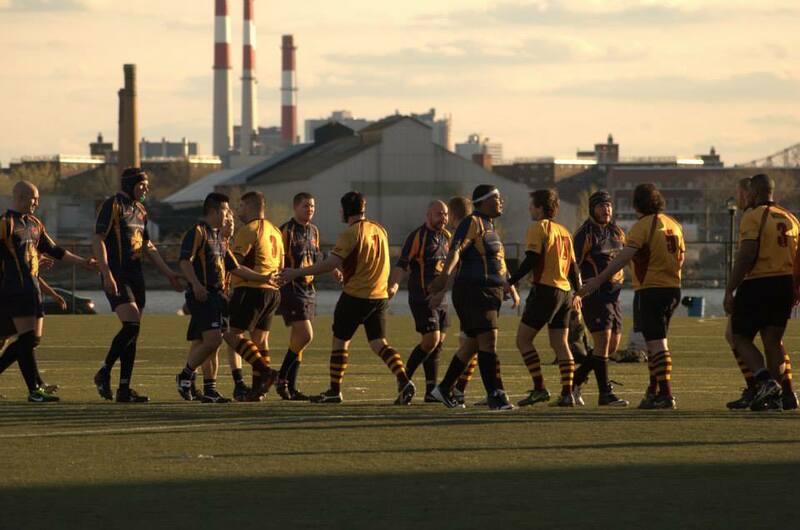 Starting yesterday, twenty-one Gryphons, supporters, partners and spouses will start making their way down to Australia for the Bingham Cup. With Anthony Chieco, Gr’17; Joe Ciesielski, GEd’14; Phil Cochetti, C’06; Joe Cruz, C’97, CGS’04, GEX’12; Chris Hatfield, CGS’02; Ted Panczyszyn, Penn staff; Dan Stringer, NU’13, GNU’16; and myself, over a quarter of the team and support staff going to the tournament has a Penn connection. In short, very little of the Gryphons’ success would have been possible without the team’s collective Penn experience. Personally, the Gryphons have been a huge labor of love for me – helping me maintain the work/life balance that we strive for. The team has taught me leadership, patience and perseverance. 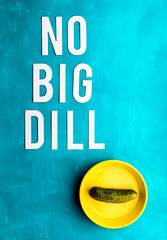 Most importantly, it’s been the source of several amazing friends over the years – especially during the times in life when it’s typically more difficult to make new ones. And speaking of new, you also may know that I am leaving Penn. I’m graduating from my tenure at Penn to go over to University of the Sciences, about 9 blocks southwest of Sweeten House, as Director of Alumni Relations. Founded in 1821, University of the Sciences is a leading science and top pharmacy college in Philadelphia. In fact, it is America’s first pharmacy school. While I’m leaving Penn, I won’t be too far and, as an added bonus, USciences’ president is a proud Penn alumna, Helen Giles-Gee, CW’72, GEd’73, Gr’83. In addition, another teammate of mine, Greg Wallace, PCP’14, is USciences alumnus and I’ve already been cultivating him to return to reunion weekend this year. It’s been a pleasure sharing my Penn experiences with you as a staffer over the last two and half years. I have already promised to work on my reunion as my 20th comes up in 2015 and I will be joining the Penn Club of Philadelphia. When I settle into my role at USciences, I will approach the interview program about helping out. Lastly, I have promised our communications staff that I will post quarterly on the blog as an alumnus. In the meantime, feel free to check up on my trek through Australia – Perth to Syndey – via stops in Hong Kong and Bangkok at https://tagboard.com/CJinOZ/183930#featured. This tournament is getting major media attention in Australia. Here are two South Sydney Rabbitohs, brothers Sam and Tom Burgess, who have backed the Bingham Cup and have called for an end to homophobia in sport in Australia. The Rabbitohs are partially owned by Russell Crowe. Me and Lex Ruby Howe, C’07, WEV’09, WEV’10, GEd’12, my favorite Aussie at Penn. Aussie, Aussie, Aussie!